Tayyebi, M., Ghanbari, F., Kumar, A. (2018). Mathematical Simulation for the Effects of Flow Control Devices in a Six- strand Tundish in Continuous Casting of Steel Billet. International Journal of Iron & Steel Society of Iran, 15(1), 49-53. M. Tayyebi; F. Ghanbari; A. Kumar. "Mathematical Simulation for the Effects of Flow Control Devices in a Six- strand Tundish in Continuous Casting of Steel Billet". 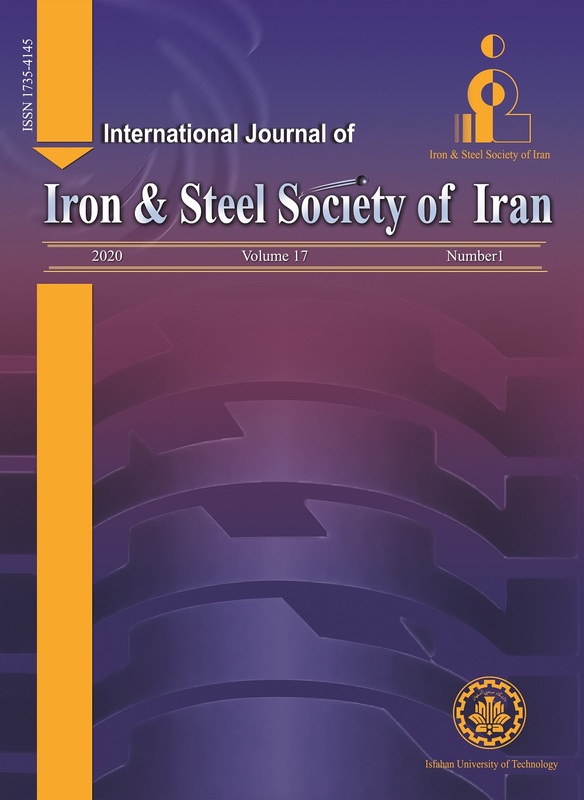 International Journal of Iron & Steel Society of Iran, 15, 1, 2018, 49-53. Tayyebi, M., Ghanbari, F., Kumar, A. (2018). 'Mathematical Simulation for the Effects of Flow Control Devices in a Six- strand Tundish in Continuous Casting of Steel Billet', International Journal of Iron & Steel Society of Iran, 15(1), pp. 49-53. Tayyebi, M., Ghanbari, F., Kumar, A. Mathematical Simulation for the Effects of Flow Control Devices in a Six- strand Tundish in Continuous Casting of Steel Billet. International Journal of Iron & Steel Society of Iran, 2018; 15(1): 49-53. The method of continuous casting of steel is now often used in the metallurgical industry, due to the increasing demand for the production of high – quality steel. An important device of continuous casting machine is the tundish, in which a stabilized steel flow has a crucial effect on the quality and efficiency conditions of the continuous casting process. In this study fluid flows in a six – strand tundish for billet continuous casting were performed with mathematical simulation methods. The molten steel flow and velocity fields in the tundish with a turbulence inhibitor, without it and with turbulence inhibitor plus weir in different distance from center were numerically calculated. Simulation results showed that the tundish with turbulence inhibitor and weir in 300 mm distance from center has a significant effect on the flow fields of the tundish. Also the results showed inclusion removal increases by producing a uniform flow field with re-circulatory zone away from the nozzles. It can be seen that circulation region is produced in the all tundish models. However, in case of using tundish without turbo stop, it increased in comparison to others. L. Sowa: Arch. Metall. Mater., 60(2015), 843. A. Kumar, D. Mazumdar, S. C. Koria: ISIJ., 48(2008), 38. L. Zhang, S. Taniguchi, K. Cai: Metall. Mater., 31(2000), 253. R. D. Morales, J. de. J. Barreto, S. LÓ. Pezramirez, J. Palafox-Ramos, D. Zacharias: Metall. Mater., 31(2000), 1505. H. Kim: Modelling of Transport Phenomena in a Delta-Shaped, Four-Strand Tundish [Dissertation], McGill University, Montreal, Canada (2003). A. Tripathi, S.K. Ajmani: ISIJ., 45(2005), 1616. H. Lei, J. Cheng He: J. Non-Cryst. Solids., 352(2006), 3772. L. Zhang: Fifth Int. Conf. on CFD in the Process Industries,CSIRO, Melbourne, Australia, (2006). L. J. Gang, Y. H. Cheng, L. Liu, W. X. Hua: JISRI., 14(2007) 13. M. J. Zhang, H.Z. Gu, A. Huang, H. X. Zhu, C. J. Deng: J. Min. Metall. Sect. B-Metal., 47(2011), 37. S. Gupta, A. Dewan: WJM., 3(2013), 184.